He is the son of Mar-Vell, once the greatest warrior the galaxy had ever known. 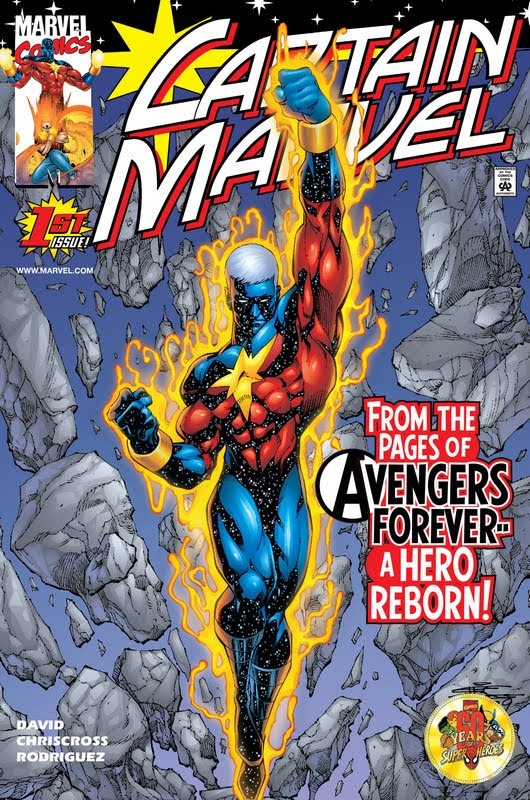 Spawned in a test tube and prematurely aged to maturity, Genis now struggles to fill the boots of his late father, the boots of Captain Marvel. Therein lies the problem. For Genis has inherited his father’s greatest gift, the ability of Cosmic Awareness, a oneness with the universe that allows him to know what will happen, what may happen, and what should happen to every living thing in the universe. You might think such knowledge would drive a person mad. Tagged cbr, cbz, comics, english, Marvel. Bookmark the permalink.